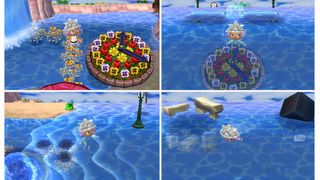 Check out this bizarre Animal Crossing: New Leaf glitch town that you can visit. Check out this bizarre Animal Crossing: New Leaf glitch town that you can visit. How is this possible? I have no idea, but Tiny Cartridge has the dream code details here.